So happy to have Anna here from Noodlehead today! Just take a look at that smile. You can't help but be drawn by her happiness. 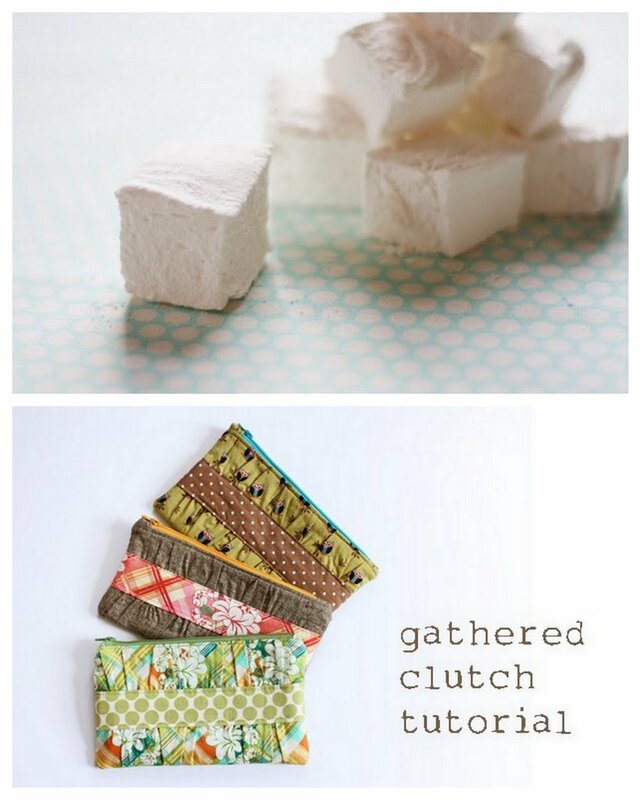 Her Gathered Clutch has been seen far and wide over the internet, understandably so, as her tutorials are not only just plain cute, but they're also clear, easy to follow, plus full of incredible photos! Fun tutorials are just the beginning of her beautiful buffet of a blog. She shares her adventures in the kitchen, with woodworking, and life in general. Anna has such a great sense of combining patterns and colors. She has an eye that can put things together and make them look like they were meant to be. Not only is she sharing her literature inspired project with us today, but she has a tutorial to make your very own over on her blog. Check it out! Thank you Katy for inviting me over to share my project today! What a fun theme, it's just amazing to see the different projects everyone has put together inspired by their favorite children's books. Definitely need to think about adding some to our shelves! For me, I knew I had to make something based on the Tale of Peter Rabbit. It's a family favorite and I just love the sweetness of the illustrations and the lesson learned in the story - listen to your mother Peter! How could you not like this book, it's a classic! I think the chambray was a perfect compliment to a sweet little calico print. And of course the wooden buttons and pintucks just give it that sweet innocent old-timey feeling. 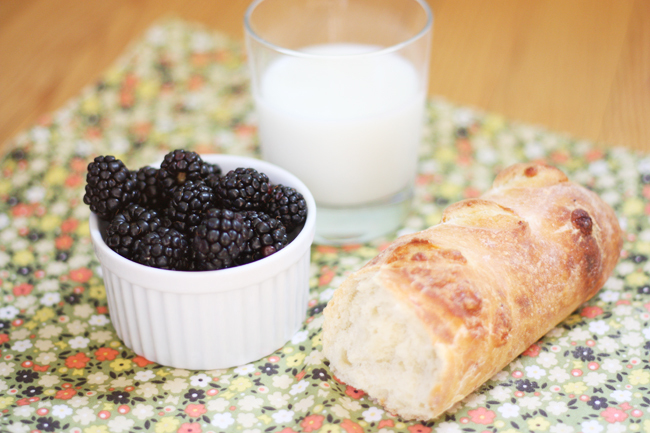 and of course if you had listened Peter, you'd be enjoying bread and milk and blackberries for supper! Thanks Katy for having my today and if you're interested in a tutorial for this bag stop over at my blog today. 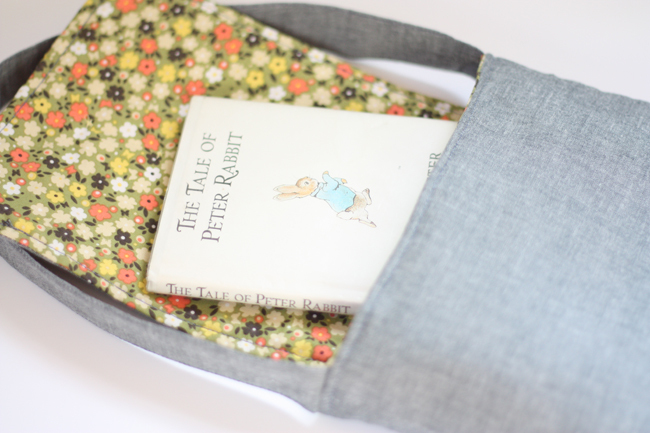 I think I need to make 5 of these for my baby dills as they tend to lose their books as they carry them here and there. Thank you, Anna for sharing your talents with us today! 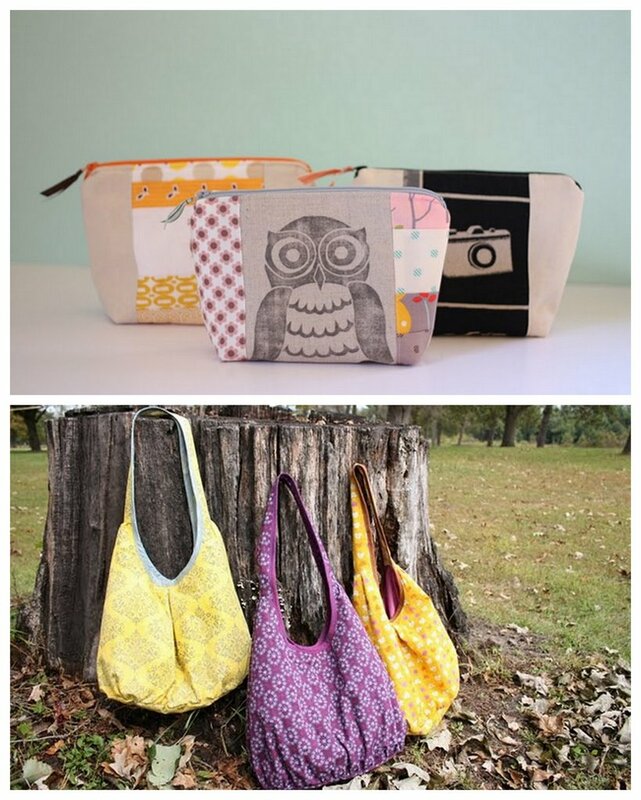 Now get going on your sweet little, single serving book bags! 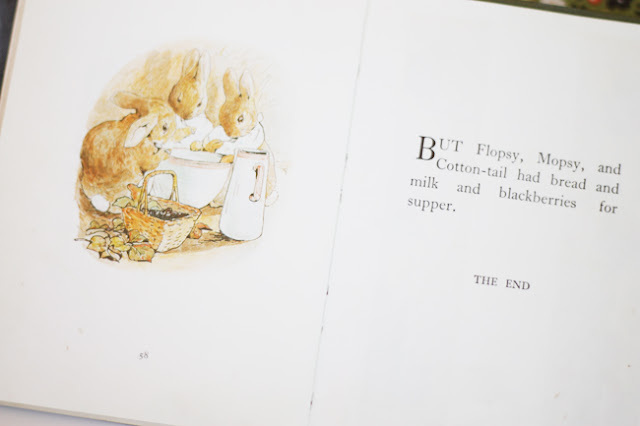 I love everything Beatrix Potter. I love this bag! I love everything Anna makes! Jayna Rae-There are a whole bunch of Beatrix Potter projects that could be done, right? Oh Anna this is darling! 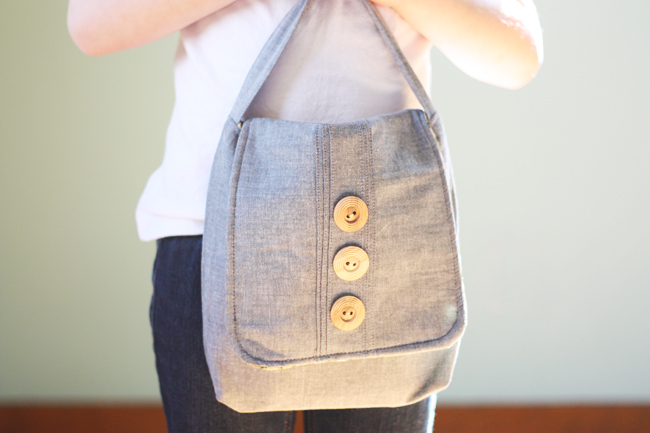 I love the pintucks and chunky buttons. Very cute! 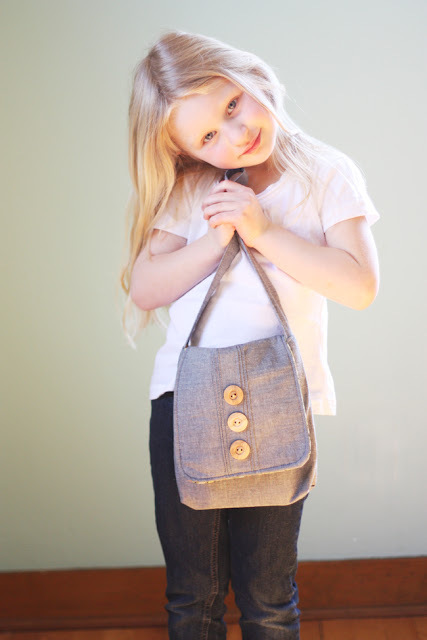 I love the bag so much--if I make one, it will be for ME, not my kids! 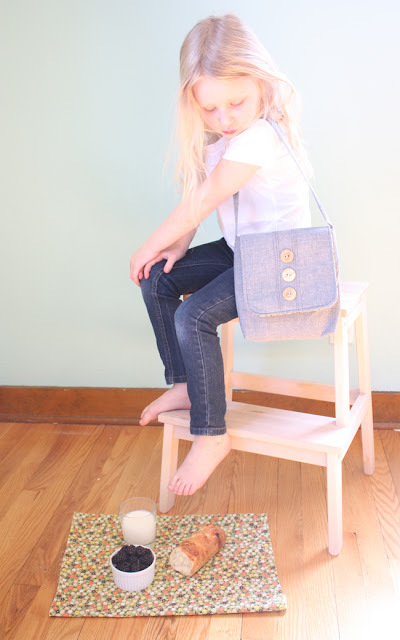 love the bag and we love Peter Rabbit, too. 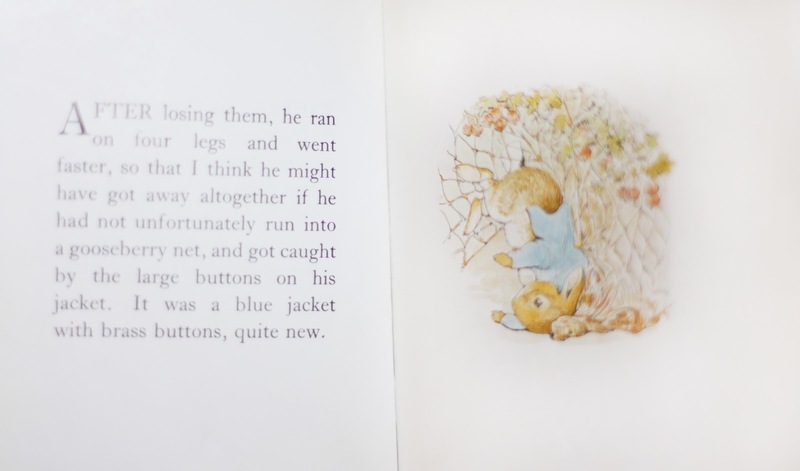 Such a classic and Beatrix Potter works in so many funny little comments into her stories. Love it. thanks for having me katy, it was really fun, and yes, so many possibilities with beatrix potter books! I love your sewing style! Kind of understated and really well sewn. Darling. 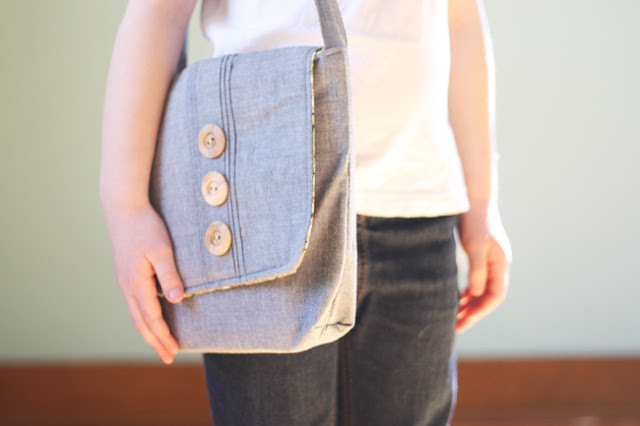 This bag is so pretty and charming- I love the details.